The TG 4, previously the TG 110 cooks chicken and all kinds of meat cuts to perfection, and is ideal for convenience stores, butcher’s shops and deli departments. Despite its versatility, the TG 4 is very easy to operate. Just set the time and temperature and start the rotisserie. 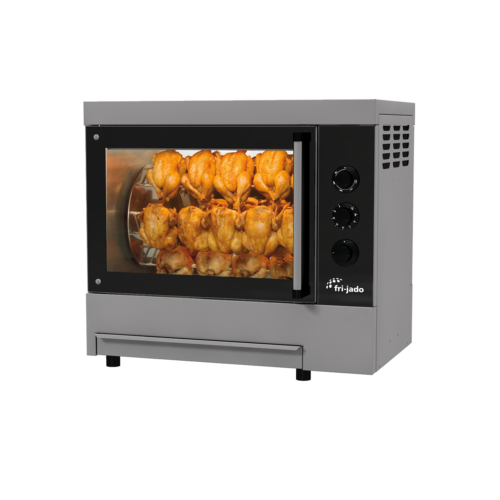 The TG features the combination of convection and infrared radiation for which Fri-Jado rotisseries are famous. This heating process creates a juicy product with an evenly cooked, crispy skin: a real taste experience. The parts in the preparation chamber of the rotisserie are removable, as well as the fat drawer that drains fat through a valve. This shortens the time needed for cleaning, reduces labour costs and allows your operators to spend their valuable time on what’s most important: attending to your customers. Bring out all of a burger's flavours by serving it on perfectly toasted buns. 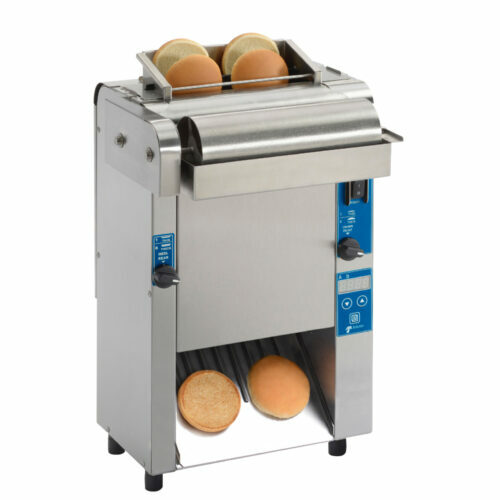 The Vertical Contact Toaster gives buns a consistent, golden brown finish so they won't soak up the juices of the ingredients and the burger will stay firm and delicious. 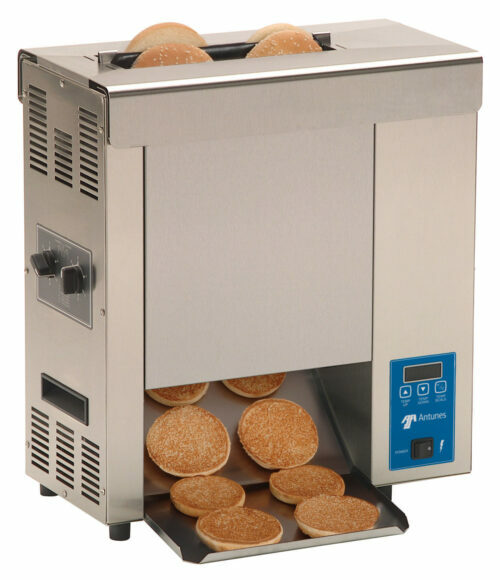 A complete line of toasters and features are available to meet the needs of any business, including butter wheels, bun feeders, bun chutes, and heated bases.